Accueil Produits Bande originale La bande originale de “La vengeance de Monte Cristo”. Sortie : 5 février 2002. 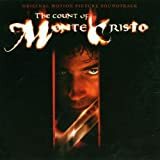 Film : La vengeance de Monte Cristo. Landing on Elba – 3:33. Escape from the Island – 7:24. Finding the Treasure – 2:52. An Invitation to the Ball – 2:12. After the Party – 3:06.